Purwakarta sub-district has a small lake named Situ Buleud that symbolized the Purwakarta city. Situ Buleud derived from Sundanese. Situ means a small lake and Buleud means circle. So it can interpreted as a circular. But when it viewed from above, it's not circular, but rather looked like a football stadium. Situ Buleud became a tourist attraction and located at the heart of the city. In addition, it is also used as a jogging area on Sunday. 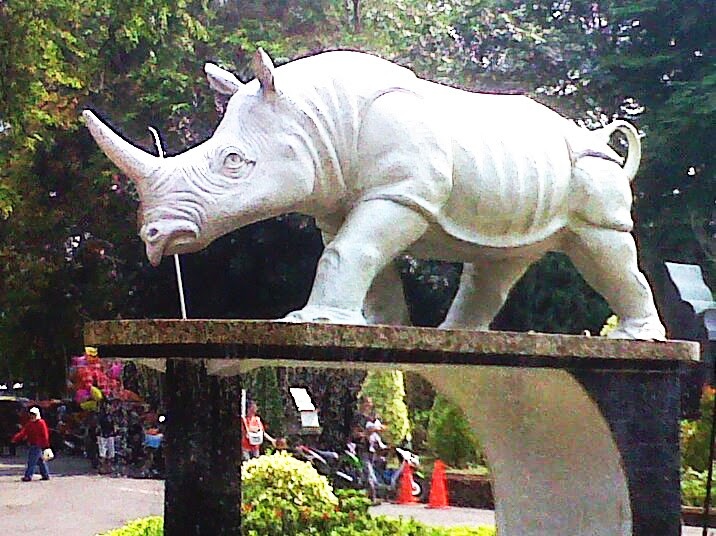 The trait which became the symbol of this lake is a statue of rhinoceros. 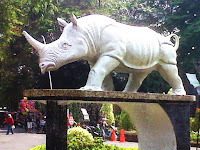 According to a man who is also the Secretary of the Joint Council and the Research of Purwakarta history, RH Garsoebagdja Bratadidjaja, in the ancient times, Situ Buleud is a "Pangguyangan" (wallow) of the rhinos from Simpeureun and Cikumpay. And also used as a drinking place for the animals. 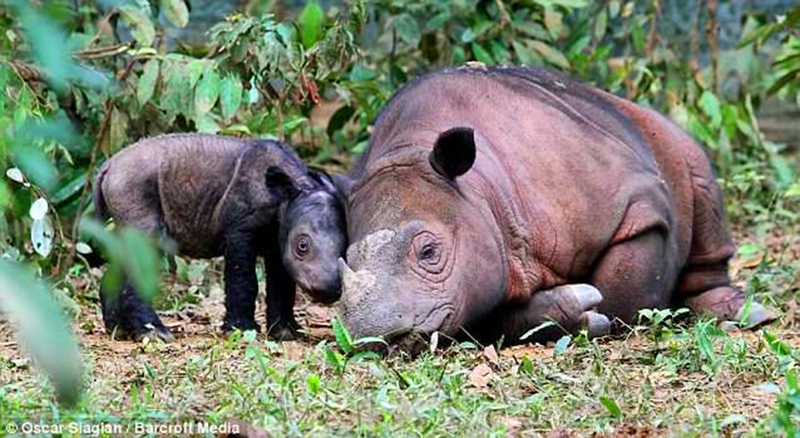 But not for today because the rhino is already a rare animal. Situ Buleud formed because there were springs and rain. Then, the Dutch enlarged the lake. Because they feared the water continues to recede, they made local irrigation channels or Pasawahan.